Miller's book appear in American bookstores. 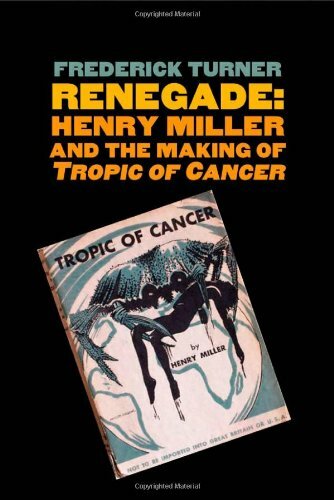 Turner argues that Tropic of Canceris "lawless, violent, colorful, misogynistic, anarchical, bigoted, and shaped by the same forces that shaped the nation." Further, the novel draws on more than two centuries of New World history, folklore, and popular culture in ways never attempted before. How Henry Miller, outcast and renegade, came to understand what literary dynamite he had within him, how he learned to sound his "war whoop" over the roofs of the world, is the subject of Turner's revelatory study.